As a part of its efforts to rationalise voice calling tariffs, BSNL has now made several changes to some of its Special Tariff Vouchers (STV) across India. Basically, the company cut down validity in some vouchers while adding freebies like talk-time in some other vouchers. 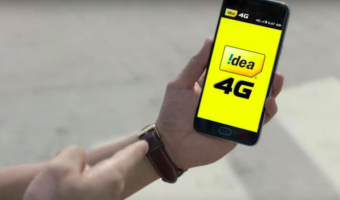 As an example, BSNL has reduced the validity of existing packs of Rs 45, Rs 122, and Rs 47, but the company has added some talk-time in Rs 88 pack to make the deal even sweeter. You can get all the details of those revised packs in chart that’s embedded below. NOTE: STVs mentioned in Sl No 1 and Sl No 2 are applicable Only to “Per second” and “Per minute” prepaid plan customers. In last few months, we have seen how BSNL is actively managing their offers to cater customer needs. This move also benefitted the public sector company to earn some extra revenue & lower its losses. As you know, you can always share your views through the comments section. Read my first comment here. The top Management of BSNL are agents of private Telecom Companies and they deliberately devise foolish plans, so that the remaining BSNL customers port out to private Teclcom Companies.